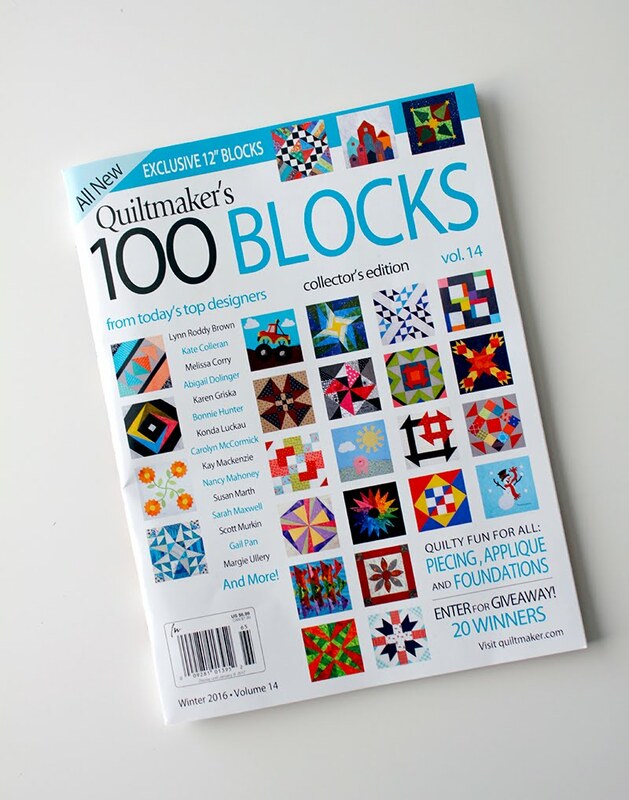 I got a fun surprise in the mail last week - one of my quilt blocks was chosen to be in vol #14 of Quiltmaker magazine's 100 blocks! It can be found in the 'mixed technique' category because it uses traditional piecing and some applique. 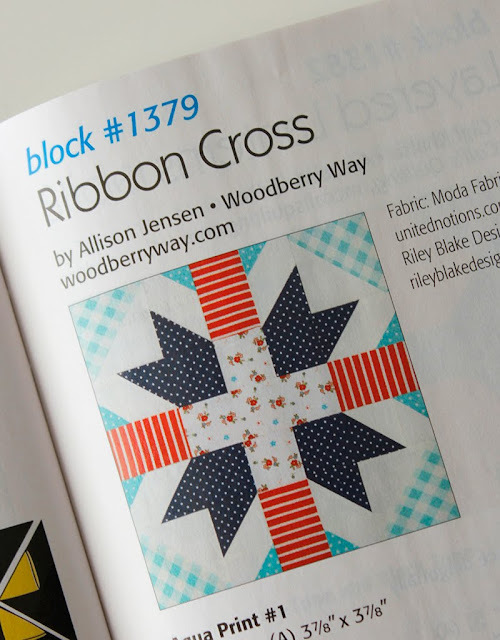 I love this Ribbon Cross block from Allison Jensen (Woodberry Way) - totally my style don't you think? And this one called Cross Ties designed by Diane Nagle (Pedlecar Quilts). Love her addition to the classic plus block. I can imagine all of the cool secondary designs that would appear when this is used in a quilt! 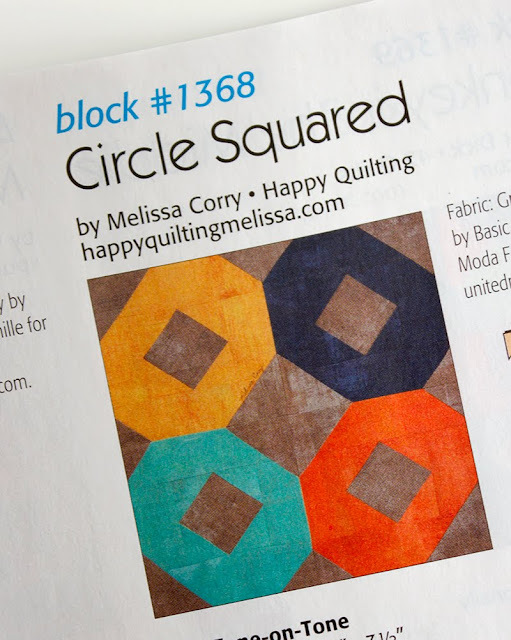 And Melissa Corry (Happy Quilting) always has great blocks in every issue. 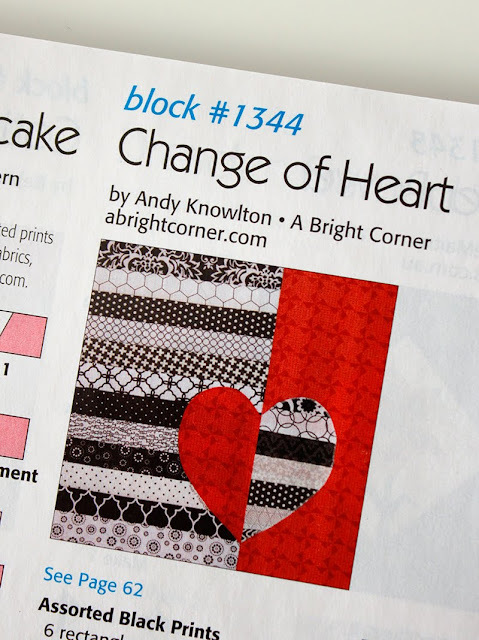 In fact, I think this is her 9th or 10th block to be published in a 100 Blocks magazine! And now I have some great news...I have two extra copies of the magazine to share! To enter the giveaway simply leave a comment below (one per person please). I will choose two winners Sunday November 20, and announce them on Monday Nov 21. 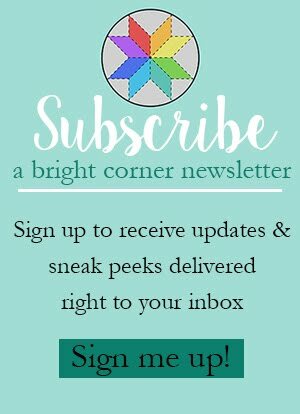 Please be sure to leave an email address if you are a no-reply blogger! Giveaway now closed - thank you! A Change of Heart, love it and the fabric. So many really nice blocks in this issue. Thanks for the give away. Beautiful block, thanks for the chance! That is a wonderful block!!! Congrats! Love your beautiful block. I think hearts was my first ever applique shape. 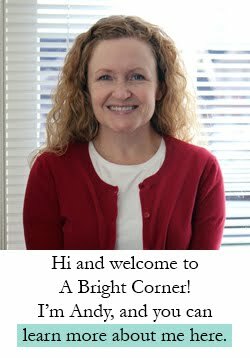 Congratulations for having your block chosen! Great block, with a great name! And that Ribbon Cross appeals to my style too! This magazine would be most welcome in my collection! Your block is stunning, Congratulations. Congrats! Looks like a great collection of blocks. 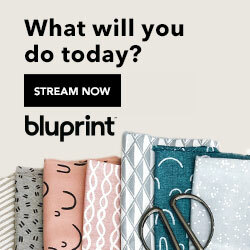 That quilt is on my "to make" list. Great blocks, thanks for sharing. Winning would be so fun! What great blocks! I'd love to win a copy of the magazine. 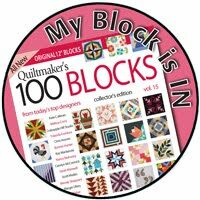 Your block is lovely and I can picture a quilt out it for my granddaughter all in her favourite colours of pink, purple, turquoise and royal blue. Thanks for the opportunity to win. Congrats, you block is so cute!! 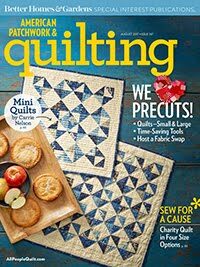 I would love to own this magazine, I see many wonderful blocks. I love your block. Great colors! Thank you for sharing. Lovely block. 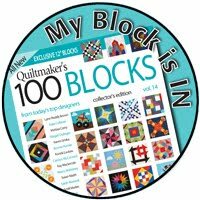 Congratulations on being chosen for the new issue of 100 Blocks. Thanks. Love your block, how fun. A great giveaway! I'd be thrilled to win a book !! I like your block and Melissa's too. I've never bought this magazine and would love a copy. Thank you very much. What a fun magazine! And congrats on having your block included! I'd love to get my hands on a copy of this magazine!!! Your block is great!! Congrats!! Love the block, love the name. Such a lovely block with a great Name too! I totally love it! Your block patterns look so interesting. Would love to win a coy of the book. Thank you for the opportunity. 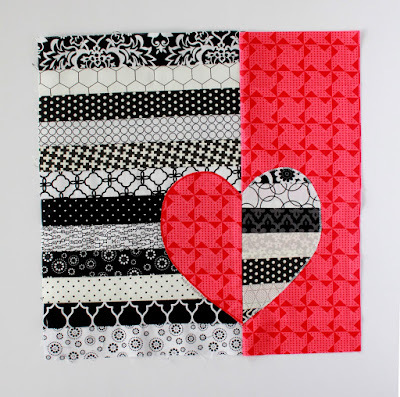 Hearts are always fun blocks and make amazing quilts! Congrats! Congratulations, it's a lovely block! Hello Andy! As in music, putting together pieces of fabric or music notes both are an unending variety of choices. Your "Change of Heart" is a New variation of cloth and piecing that make a very interesting block! Congratulations on advancing our block choices! How neat! I would love to win this. Thanks for the opportunity! O.M.G. just love, love your block! 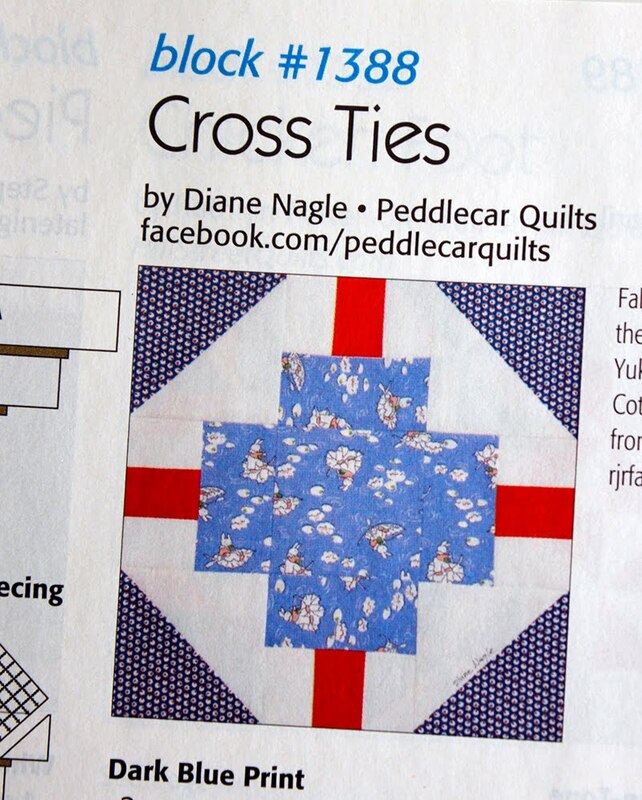 It's always fun to get this annual magasine to see what new quilt blocks have been created! Congratulations! It must be quite an honor! Would love to get a copy of this magazine! I love your heart block. Congrats on being selected again. Congratulations! We could all use a little bit of heart! 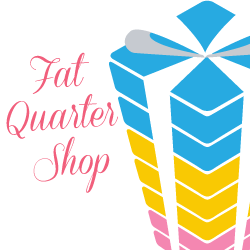 Congratulations- love the block and the name! I really like your Change of Heart block! I'm also a big fan of Ribbon Cross. I have a soft spot for anything with hearts, so your block is just my style, especially with a mix of piecing and applique! 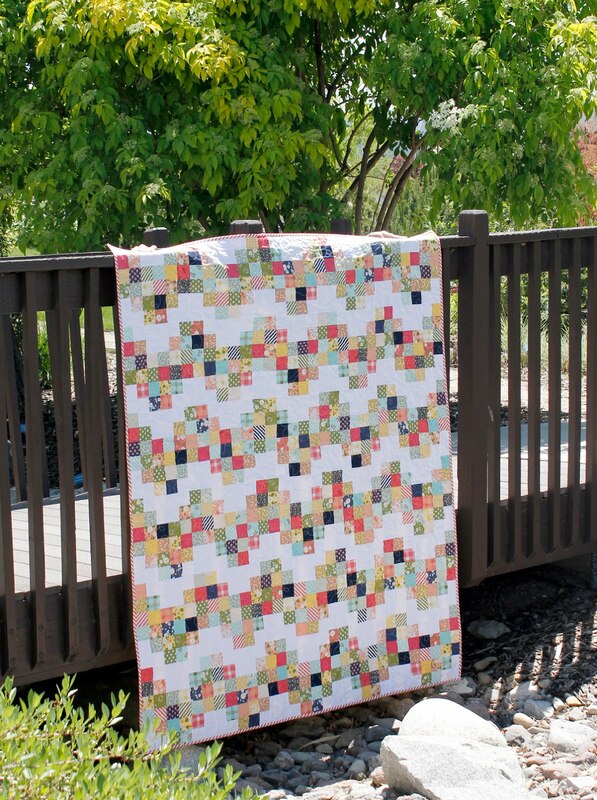 I would love to make a mini quilt using this block!